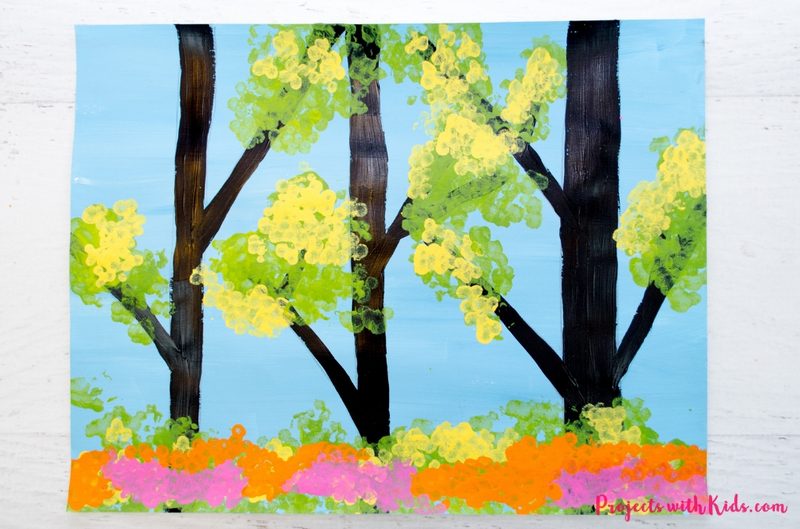 Bright green leaves on trees, light blue skies, and colorful wildflowers all come together to make this gorgeous spring trees painting! 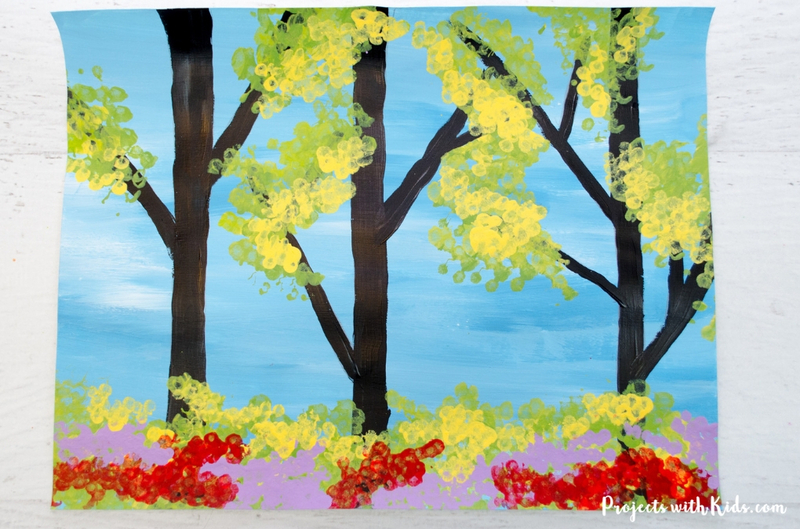 My daughter and I loved painting this spring forest scene, we have used q-tips for painting before but this was our first time using bundled q-tips to paint. And we both loved it! 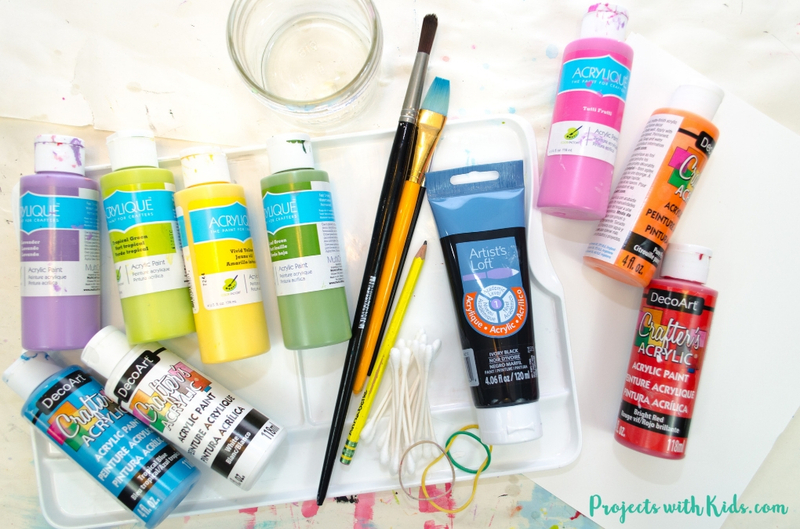 I love the texture the bundled q-tips create, it’s a great tool that makes creating this art project a breeze. 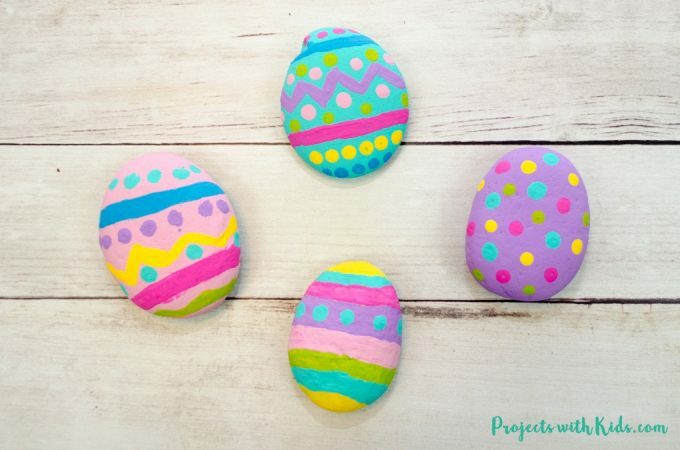 This is a great project for talking about the early signs of spring when the leaves on trees are just starting to appear and spring wildflowers start to bloom. 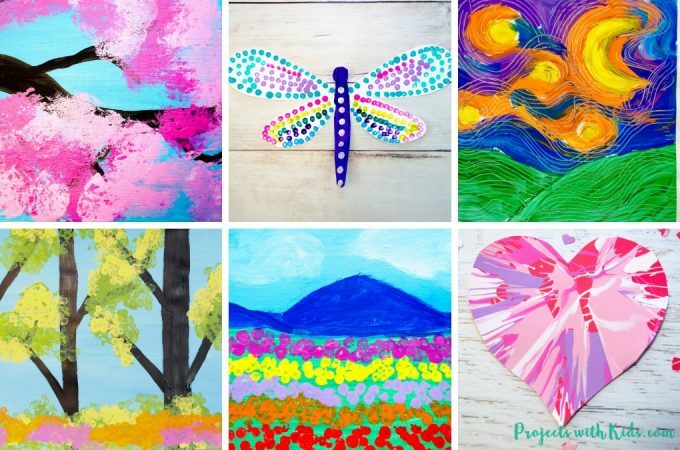 Check out my collection of painting ideas for kids for more fun and creative art projects to try! For this project, I created a printable tree template to make this craft even easier for you. 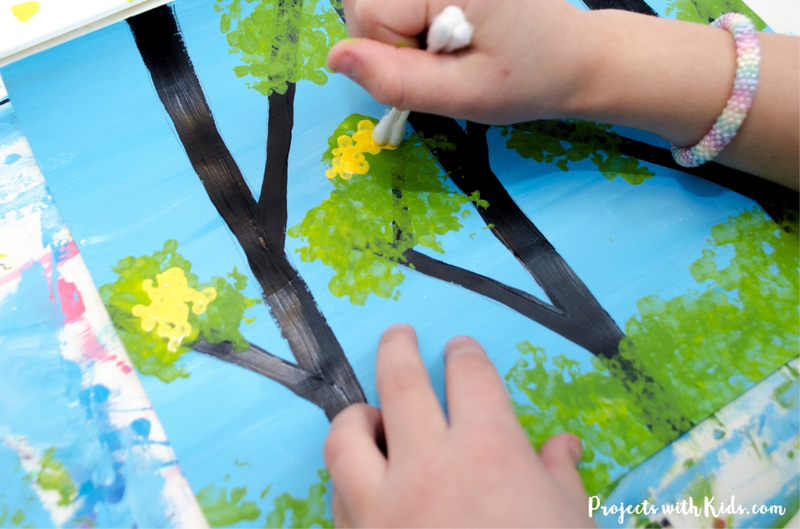 This is a great option for younger kids who might have difficulty drawing the trees and branches and just want to focus on painting with q-tips. This template is available to my email subscribers as part of my free printable resource library. 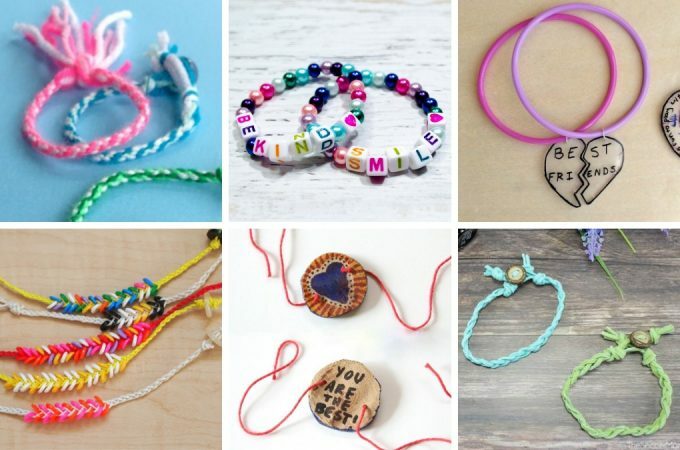 Sign up to my email list below to gain instant access. After confirming your email subscription you will receive a welcome email with all of the sign in details. Scroll down to the bottom to sign up. 1. First, print out your tree template on white cardstock if you are using one. 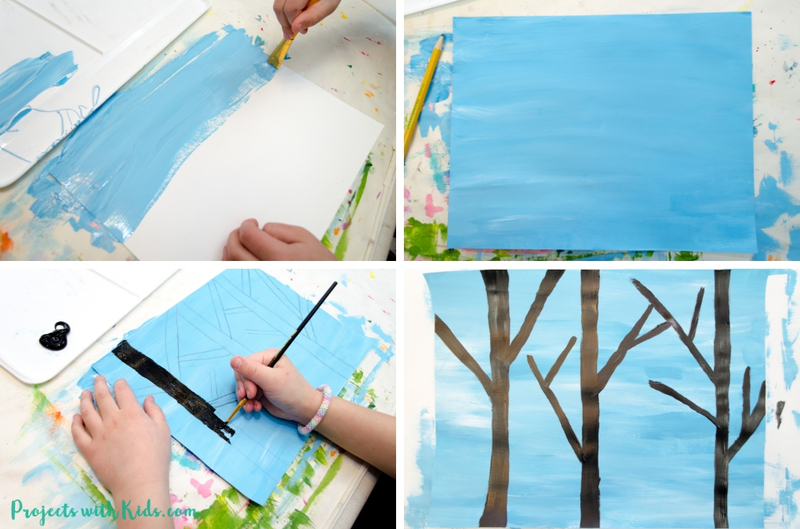 The template is a great option for younger kids who might find it difficult to draw in the trees and branches and just want to focus on painting with q-tips. If you are not using the template you will still use white cardstock. 2. Paint the sky blue. We mixed our blue paint with a bit of white for some color variation. Using a larger brush for this step is best. If you are using the template, you can paint right over the tree outlines with your sky color. 3. If you are not using the template, draw in your trees and branches. We did 3 trees, which I think looks nice, but kids can choose their own style. Paint your trees and branches with black paint. Using a smaller brush to do this will help keep the branches on the thinner side. Let the trees dry before moving on. I like to keep a hairdryer in our craft area to help speed up drying times. 4. Now it’s time to paint with q-tips! To paint the green leaves we used 2 shades of green (light green and a medium shade) and just put them next to each other in our palette. We used 9 q-tips bundled together with an elastic band for this part. 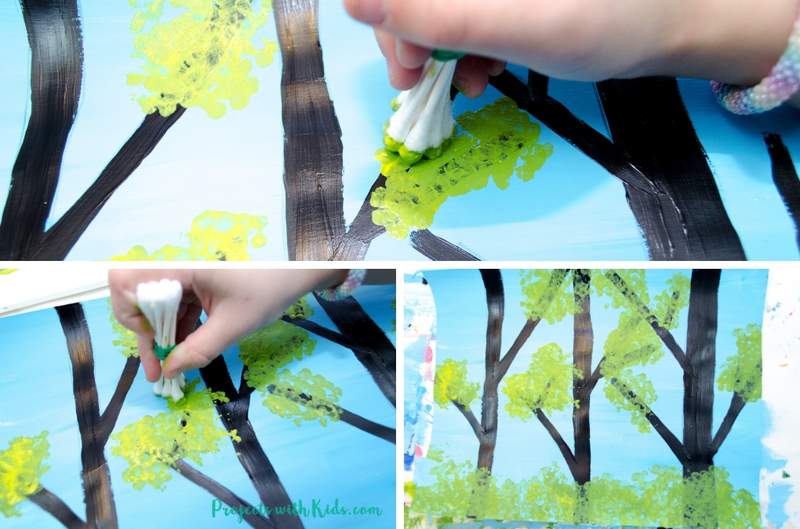 Have kids dip their q-tip bundles into the 2 shades of green and start painting in the leaves on their trees. Paint along the bottom of the paper as well for the leaves and bushes. This is a spring forest, the leaves are just starting to come in, so you want to make sure not to cover the branches completely. 5. Once your green leaves are dry, bundle together 3 q-tips to add in some yellow highlights on the trees and at the bottom. This really helps to make the spring forest look bright and fresh and add in some color variations. Remind kids to not cover over all of their green leaves, but to add in the yellow sparingly. 6. Now kids can pick 2 colors to create their wildflowers on the bottom. 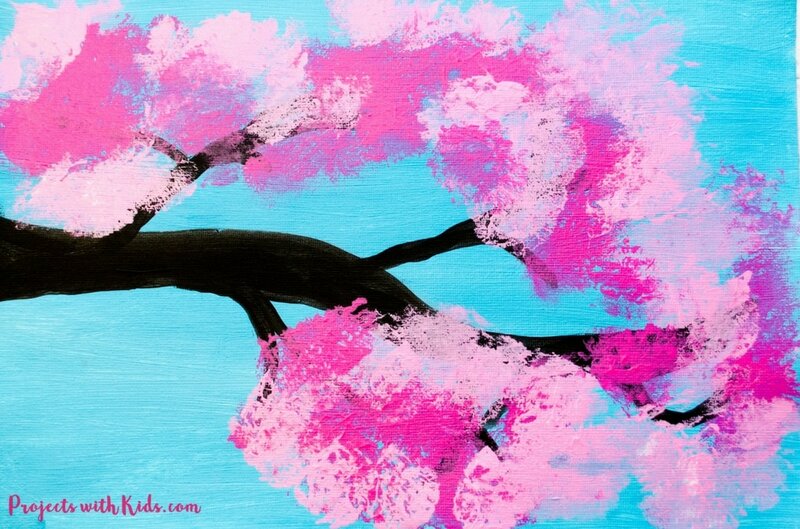 I love how the bright colors of the flowers really make this spring trees painting stand out! 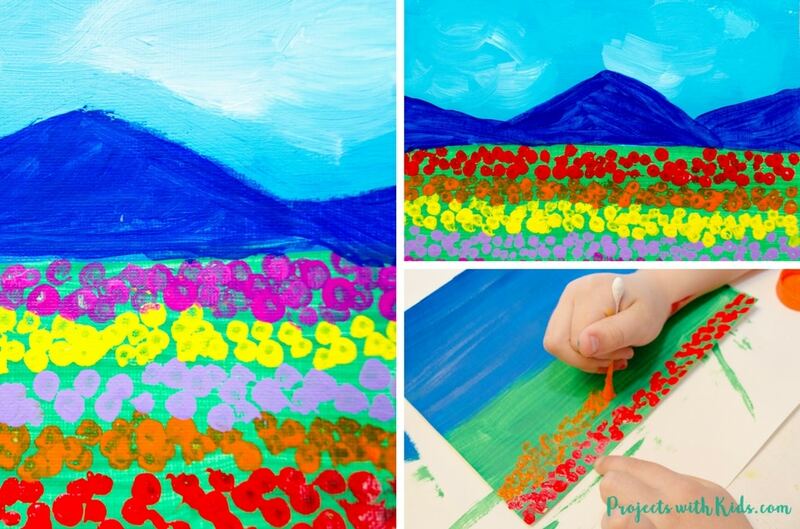 Use 3 q-tips for this step as well and have kids paint their wildflowers across the bottom of their painting. 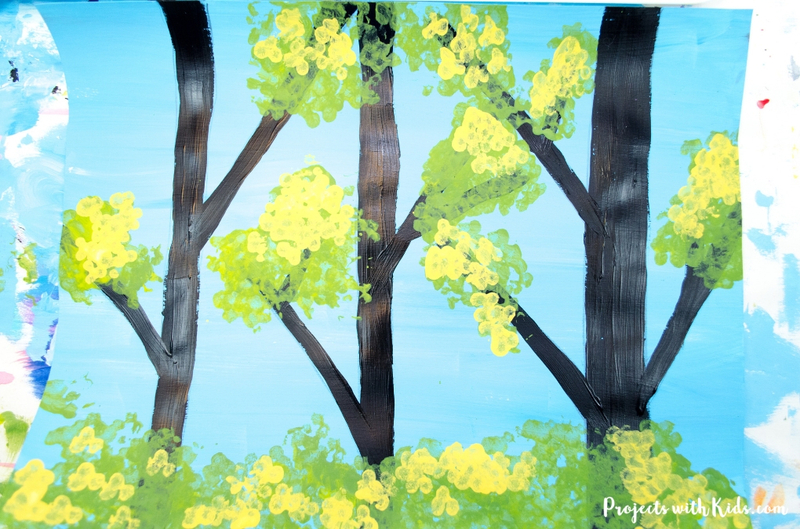 This spring trees painting makes a wonderful spring art project for kids of all ages to create. 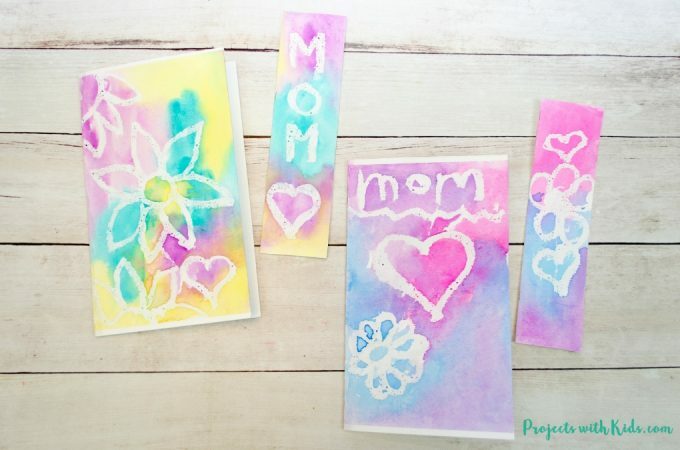 Painting with bundled q-tips is so fun for kids and creates a perfect texture for the leaves and flowers. I hope you give it a try! 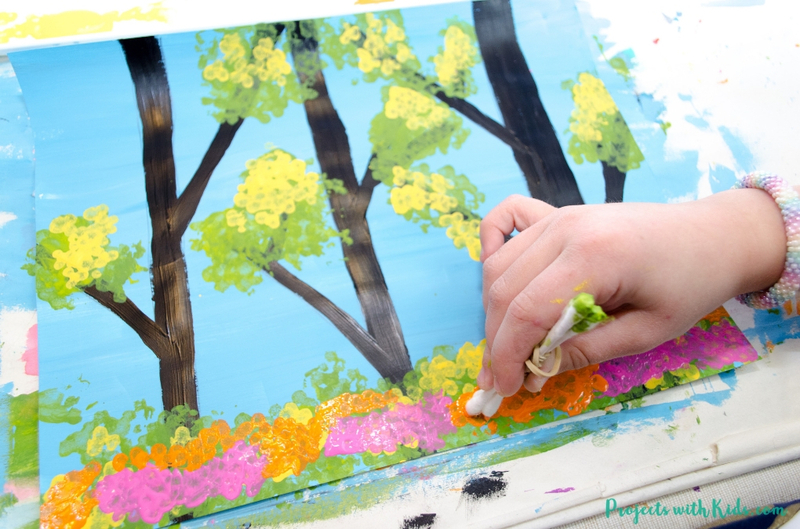 So thrilled to stumble across your EASY SPRING TREES PAINTING WITH BUNDLED Q-TIPS. So perfect for my daughter’s paint party! Would love to have the template.